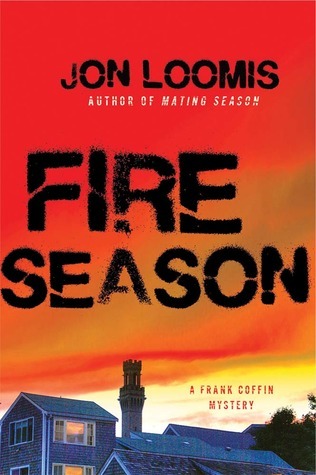 This entry was posted on Saturday, August 18, 2012 and is filed under Arson,Book Review,Fire,Fire Season by Jon Loomis,Giveaway,Murder,Mystery,Small Town,Suspense,Thriller,UFO. You can follow any responses to this entry through the RSS 2.0. You can leave a response. Hi Ethan, I read the review on Amazon and marked it as helpful. Thanks for the giveaway. I have previously heard good things about this author and this book in particular. It would be great to win a copy. Awesome! Classes just started for me as well, so I feel your pain. One book a week has been a fun goal, but it can be hard to complete. Thankfully I'm reading a shorter novel this week. Yeah, what was I thinking when I enrolled in 10 hrs of science classes?! Lol. I hope your classes treat you well. I enjoyed your review and marked on Amazon that I liked it. The book sounds interesting. I haven't read a good mystery in a while. I marked your review as helpful on Amazon. School just started for me also, but once I get into a good book, I can't put it down. I've been known to stay up all night to read. Congratulations to Carl! He will receive a copy of Fire Season by Jon Loomis. Thanks to the publisher for making this giveaway available, and thanks to all who entered. Be sure to check this site for future giveaway opportunities.